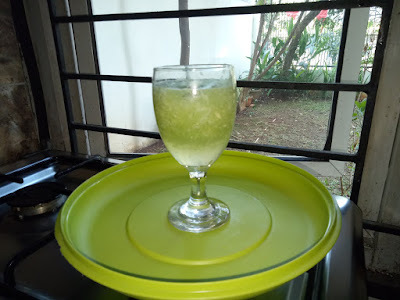 When the day is so hot, a refreshing glass of drink will keep you cool. One of the perfect choice is "Ice Cucumber". 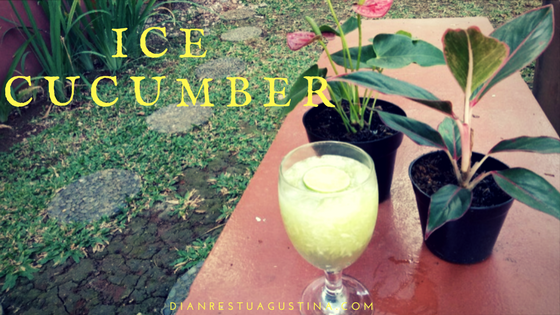 The easy-to-make fresh drink for your sweaty day or for breaking your fast time (berbuka puasa). According to huffingtonpost, if we’d like to make our diet healthier by adding more vegetables to our meals, cucumbers are a great choice. It has recently been suggested that fisetin plays an important role in brain health. It would have “the ability to reduce the impact of age-related neurological diseases on brain function,” and it would also help maintain cognitive function in people with Alzheimer’s disease. 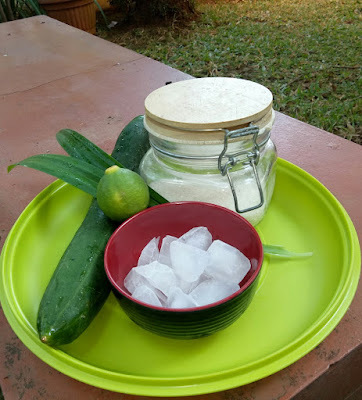 There are many ways you can enjoy cucumbers: raw in salad (pecel/gado-gado/rujak), as a side with your meals (lalapan), fermented as a pickle (acar), juices and fresh drinks. 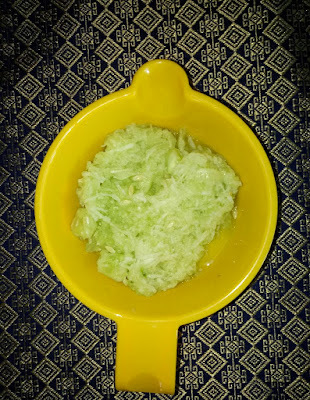 Now, back to the topic, here is the recipe of Ice Cucumber! 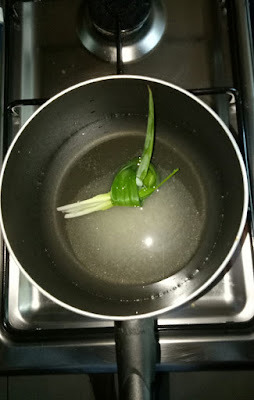 Boil water, sugar and pandan leaves. Let the sweetened water cool slightly, then pour it into two glasses. Add the grated cucumber and squeeze a slice of lemon into each glass. Don't forget to add ice cubes. Your fresh ice cucumber drink is ready to be enjoyed. So refreshing! Btw, I usually eat cucumber for "lalapan", " rujak legi" and as the added ingredient of Pempek's Cuko. Looks like ice kuwut, isn't it? 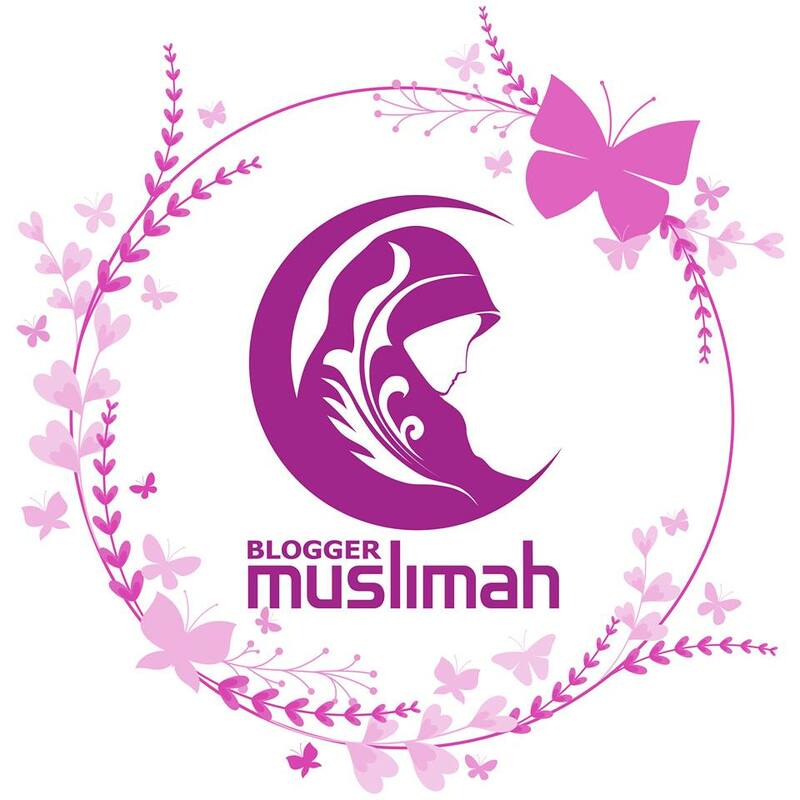 I will try it. Thanks for the recipe, Mbak. I don't like cucumbers but interested in trying the recipes.